This stunning handle less built-in microwave combination oven from Miele, is the all-rounder that fulfills all your wishes. Sleek and stylish in its aesthetics with its PureLine ArtLine handle less design and M-Touch display, this model looks fantastic teamed up with other PureLine appliances. With a combination of modes and automatic programmes this oven microwave gives perfect cooking results every time. It boasts a stainless-steel cabinet with a Perfect Clean finish and has fantastic features such as Food Probe, Quick Microwave button for full power at your fingertips, Popcorn button, Intensive Bake, Auto Roast and Rapid Heat-up, simply to name a few. Finished in Miele’s stunning Obsidian black, this model is designed to be the perfect addition to any kitchen. 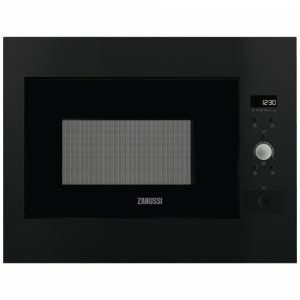 This sleek Zanussi built in microwave for tall housing offers superb versatility. You can defrost with confidence thanks to the useful function which weighs the frozen food and determines how long it will take to defrost. Whether you are defrosting, warming up or require piping hot food, you can select the best settings for your requirements with the variable power levels. Finished in all black and with a range of matching ovens available it’s the perfect addition to your new kitchen. 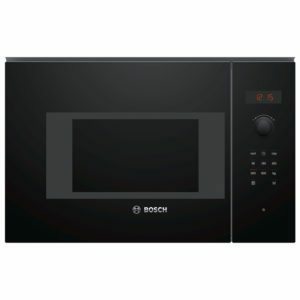 Finished in black, this fantastic built in compact microwave from Bosch looks superb. With a range of complementary appliances available it can be part of a standout kitchen design. With five power levels, LED displays and retractable dials it is incredibly easy to use. You will wonder what you did without this handy kitchen assistant! This combination microwave offers fantastic cooking options, whether you need to warm up, bake or grill. With touch controls and a TFT display, it's easy to select the programme you need. Finished in black, it's the perfect complement to other appliances from across Samsung's range. 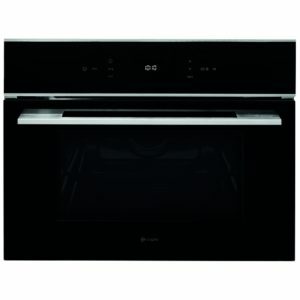 This Caple 45cm high built in microwave offers the ultimate versatility. It has a turntable free design and boasts 10 microwave power levels and 8 auto cooking programmes. 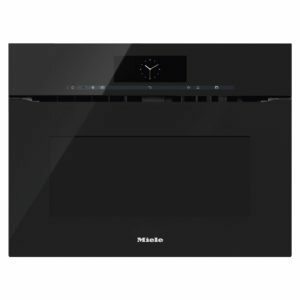 Finished in stunning black glass and stainless steel and with a range of matching ovens available it's the perfect addition to your new kitchen. This Caple 45cm built in combination microwave offers the ultimate versatility with its superb multifunction fan oven, grill and 1000 watt microwave. This microwave has a turntable free design, instead giving you a chrome shelf rack with 3 positions. It also boasts 10 microwave power levels and 8 auto cooking programmes. Finished in stunning black glass and stainless steel and with a range of matching ovens available it's the perfect addition to your new kitchen. 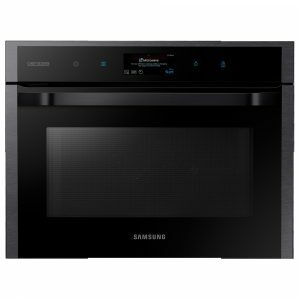 We stock microwaves from market-leading brands like Samsung, Hotpoint and Bosch. In our cooking section, we also stock lines of range cookers, hobs and built in ovens for you to browse if you want to revolutionise your kitchen. Shop for a matching cooker hood in our extraction section, or check out our refrigeration appliances. Our line of American-style fridge freezers is not to be missed! For great deals and bigger savings, shop at Appliance City! A guide to addressing any faults your microwave oven may develop. Check out the most commonly asked questions we face regarding microwave ovens. A comparison of microwave ovens and conventional ovens to help inform your purchasing decision.